Class/ Age Class 9-12, undergraduate and post-graduate students. The students can apply for the award in team size of minimum 1 and maximum 20. Selected 5 teams will be given access to Phyzok Professional A/V Studio (camera, lights, sound equipment, cranes, glidecam etc.) to make a professional video on their topic. 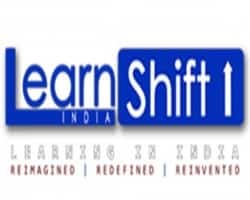 The selected 5 teams' high quality video would be showcased at the LearnShift India 2013 event at J.W. Mariott, Mumbai on November 13, 2013 to a panel consisiting of high level academicians. Citation and trophy for the Top 3 Teams. Sign up on the website- click here and Submit the video. The length of the video should be between 5 and 15 minutes. There is no entry fee for the application. Creativity on delivery of the topics. Overall appeal of the video. The depth of the topic and learning outcomes. No marks on the quality of video equipment and styling of videos.